Our programme of research around wellbeing in the workplace looks at what organisations are doing well to boost wellbeing or what they can practically do if they face workforce wellbeing problems. Wellbeing at work is about more than the physical ergonomics of someone’s desk, about the health and safety policies or about managing stress levels during a busy period. As employers, wellbeing can be affected by the operational processes we run, levels of trust offered to workers and how we manage organisational change. 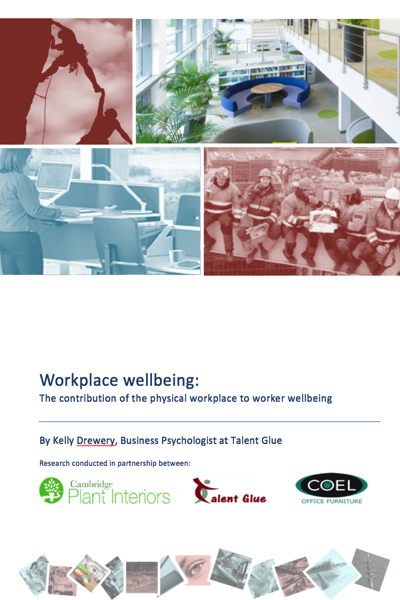 Our research programme therefore explores workplace wellbeing across four key dimensions: the individual worker, job-related factors, the working environment and the organisational context. We have partnered with Cambridge Plant Interiors and COEL Office Furniture to establish what employers are doing in Cambridge to enhance wellbeing in the workplace whilst maintaining a productive, engaged workforce? See the report here. This report is about mental health at work. People with mental health problems face severe discrimination at work. This is the result of a lack of understanding and awareness – among employers, managers and employees in general – about the nature of mental illness and associated problems and how to deal with them. Published by The Industrial Society for the Mindout for Mental Health Campaign. 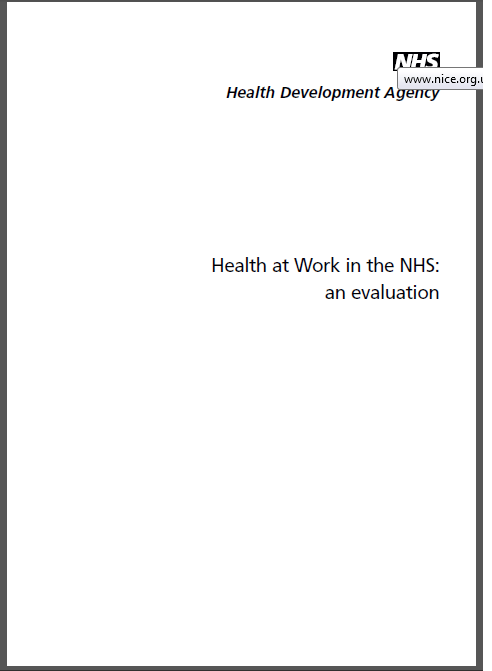 This research was a ten year evaluation of health promotion activities in the NHS exploring how the NHS can be a demonstrable good employer by looking after it own workforce’s health concerns. Published by Health Development Agency (now part of NICE) Summer 2001. Author: Kelly Drewery.